Camping with a non self-contained vehicle. When researching about campervan travel in New Zealand, you’ll often see the phrase “self-contained”. Self-contained vehicles are vehicles that not only have toilet, water and waste facilities, they are certified under the Self-Containment Standard – NZS 5465:2001. The advantage of the certification is the ability for the vehicle to legally freedom camp on public land. Vehicles without the self-containment certification can only camp in designated places in New Zealand in order to preserve the natural environment. With that in mind, if you have a car or campervan that is not self-contained, then you will need to be mindful on where you camp. So where can you camp in New Zealand if your campervan is not self-contained? Campsites, holiday parks and even hostels are designated camping areas for non self-contained vehicles. Prices greatly vary between these different camping options, as do the facilities. 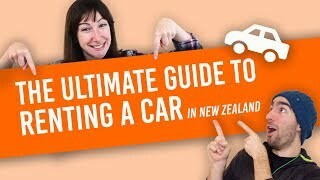 We have listed each camping option, as well as their facilities and average price per night so you know what you are in for when travelling New Zealand in a non self-contained vehicle! Is my vehicle certified self-contained? 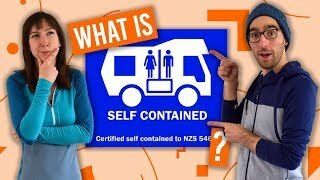 Self containment NZS 5465:2001 is the certification used to show that a campervan can contain water waste for up to 3 days. This includes water in the form of water supply, grey water (sink and shower water), and septic waste. The vehicle must also have a rubbish bin with a lid. For a full list of self-containment criteria, see Self-Contained Campervans in New Zealand. Even if your campervan has all the right facilities to meet the self-containment criteria, your vehicle will still be considered non self-contained by wardens who fine illegal freedom campers unless you have the Self containment NZS 5465:2001 certification. Find out how to get a certification via this guide: How to Get Your Campervan Certified Self-Contained. Additionally, here’s some advice on how to convert your vehicle into a self-contained vehicle. If you do not have the self-containment certification, you need to use designated campsites. 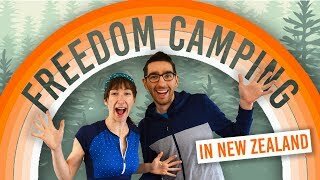 Freedom camping, i.e. sleeping in a tent or camping vehicle on public land for free, in a vehicle that is not self-contained can incur an instant NZ$200 fine. See here for more information on the rules around freedom camping in New Zealand. a tent-shaped icon without a line crossing through it. This indicates that camping in allowed. a tent-shaped icon with a line through it, indicating that camping in strictly prohibited. If no signs exist, take a look at the local council website for the area you are in. Their websites should clearly state their freedom camping bylaws, i.e. whether non-self-contained vehicles can legally camp on public land. To make things easier for you, we’ve put together this list of council websites: Freedom Camping Rules in New Zealand: Region by Region. Some campgrounds might even have coin-operated barbecues and cooking shelters. Price range for council campsites are usually between 0 to NZ$12 per person per night. Payment is made via online bookings through council websites or by cash paid in an honesty box. The Department of Conservation (DOC) manages more than 200 campsites across New Zealand. These offer another budget camping option for those travelling in an non-self-contained campervan. Locations of Department of Conservation campsites can be found in DOC campsite maps found in most information centres and on the DOC website. Note that not all DOC campsites have vehicle access, as many are located along hiking trails. Vehicle access is clearly stated on your chosen campsite’s listing on both the DOC website and campsite maps. Facilities include toilets, water, kitchen bench, hot showers, rubbish collections. Some will have barbecue, laundry, fireplace, cooker and picnic tables. Expect same facilities as services campsites minus kitchen bench and hot showers. They may have cold showers. Standard campsites have a more basic toilet (composting or pit) and water supply (tap, stream or lake). They may have cold showers. Basic campsites are similar to standard campsites, but be prepared to be fully self-sufficient. They tend to vary in price and facilities. There are around 60 campsites along the Great Walks of New Zealand. They provide similar facilities to standard and basic campsites but come at a higher price. For the Routeburn, Kepler and Whanganui Journey it’s NZ$20, NZ$14-$15 for the Abel Tasman, Waikaremoana, Tongariro and Heaphy tracks. It’s NZ$6 for the Rakiura Track. The price for DOC campsites that have vehicle access are between 0 to NZ$10 per person per night. Some serviced, scenic and Great Walk campsites may require a booking through the DOC website or through a DOC information centre. However, most DOC campsites are on a first-come-first-served basis. In the latter case, payment is made with cash either in the honesty box or to a hut warden. Holiday parks in New Zealand are commercial operations and are more of your “luxury” option for camping in a non-self-contained campervan. While holiday parks offer a wide range of accommodation, the one you will be interested in are either the tent sites, otherwise called “non-powered sites”, or the powered sites. Tent sites or non-powered sites are basically a patch of grass designated for vehicles or tents that do not require a power supply. Powered sites have a power outlet for campervans with a power supply and campsite power adapter. Communal kitchen – a large kitchen with cooking hobs, fridge, boiling water dispensers, hot and cold water with sinks. Some holiday parks may have microwaves, kettles, toasters, ovens, freezers and dining areas. Most holiday parks have cooking and dining utensils – but not all – so be aware. Learn more about holiday park facilities in our Accommodation Guide to Holiday Parks in New Zealand. The price for tent and powered sites in holiday parks often change with the seasons, the lowest prices in winter and the highest in summer. Fees are usually for two people staying on a site, unless stated otherwise. More people can be added at an extra cost. 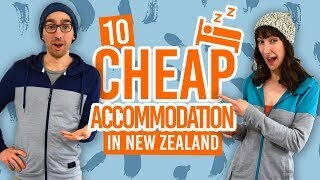 Expect to pay NZ$15-$50 for two people on a tent site per night and NZ$20-$60 for two people on a powered site per night. Payment is made either through online bookings or at the holiday park reception where they will accept credit/debit card and cash. Hostels is an accommodation option that many travellers overlook when looking for somewhere to camp. Many hostels across New Zealand allow travellers to park up in their car parks or pitch a tent in the garden and make use of the hostel facilities. Take a look at What is a Hostel? A Beginner’s Guide to Backpacker Hostels for a complete guide on what to expect in a hostel. The price to stay in a hostel car park or tent site is around NZ$10-$15 per person. Bookings can often be made in advance and paid via online booking websites or direct with the hostel. 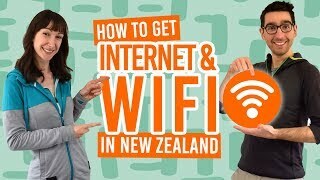 (Check out What are the Best Websites to Book Hostels in New Zealand?). Alternatively, nights are paid at the hostel reception on check-in via cash or credit/debit card.